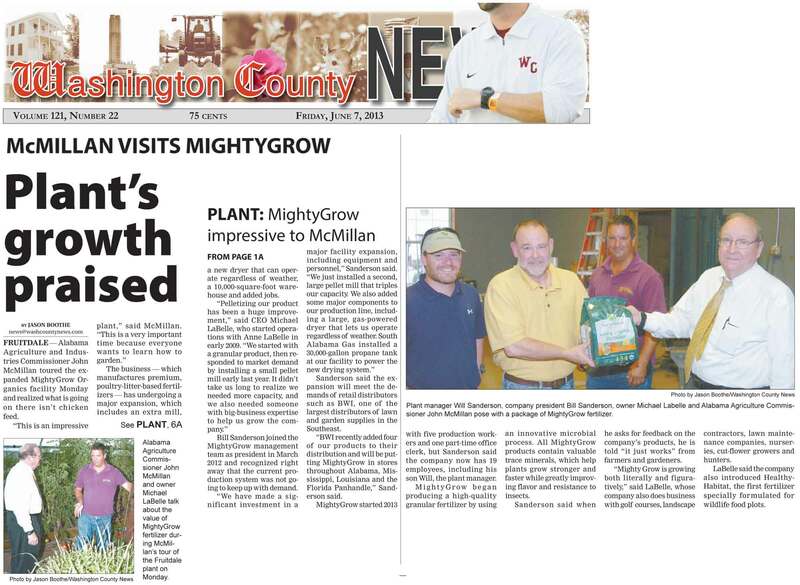 John McMillan, Alabama Commissioner of Agriculture and Commerce, visited the Mighty Grow Organics plant in Fruitdale, AL. The LaBelles have had numerous conversations with the Commissioner at various events throughout the state, and found him to be very supportive of their business. He even recommended Mighty Grow to Governor Bentley. 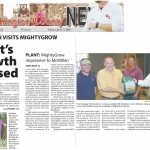 Mighty Grow Living Organic Fertilizer is being used in the Governor’s personal vegetable garden.